Spring Ahead in White Grid. 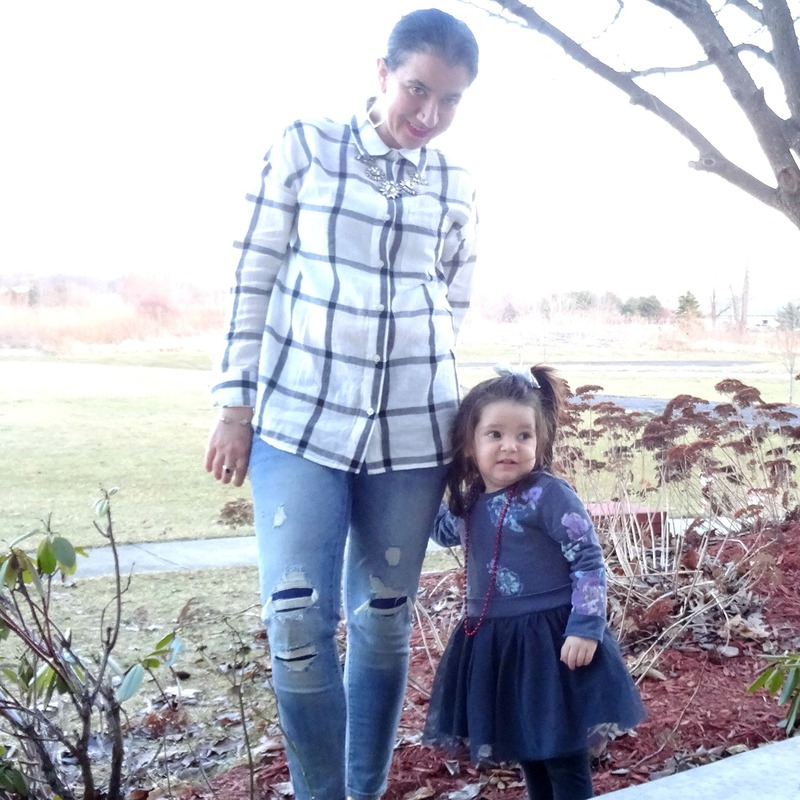 In my last currently post I mentioned how I had gone on a few shopping sprees for adorable flats I was looking forward to wear this Spring and some shopping sprees at Old Navy where I got lots of cute things for myself and my daughter. 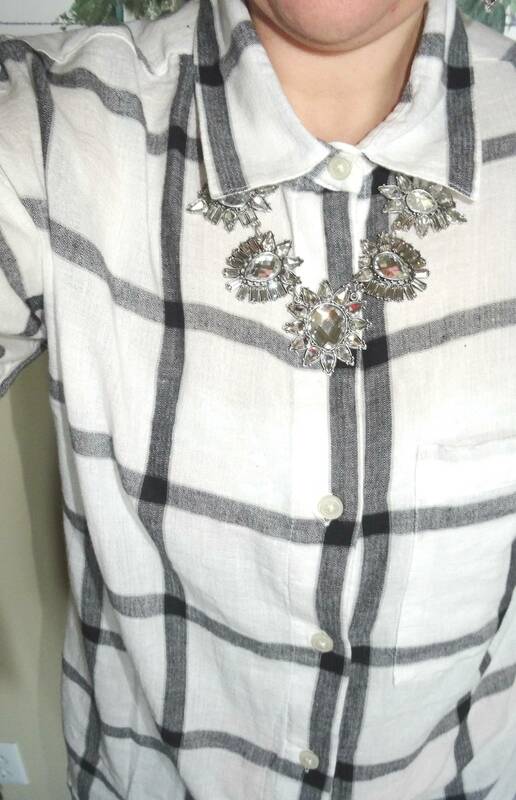 You actually saw a sneak peek of all the items I am wearing today (not including the jewelry) in that post. 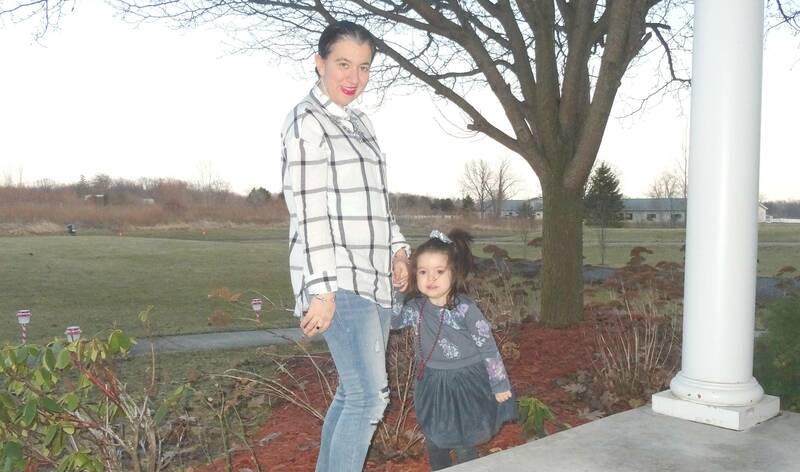 Vivian is even wearing one of her newer Old Navy Dresses. I actually wore this outfit exactly a week ago, last Tuesday on March 8th. 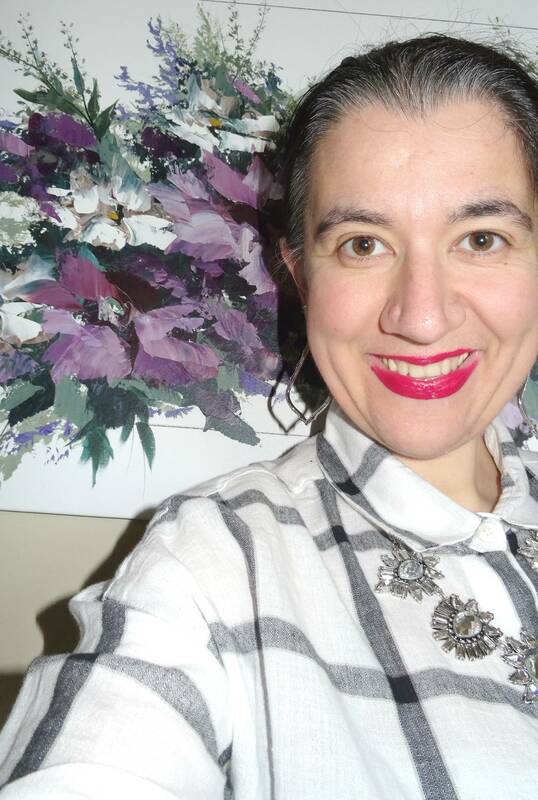 I wore it to go to dinner (at a restaurant nearby), all of us with my parents since it was International Women's day and growing up in Albania it was a holiday we celebrated a lot. Since we didn't know of or celebrate the actual Mother's Day in May, March 8th was mostly the day to cherish and celebrate our mothers, too. 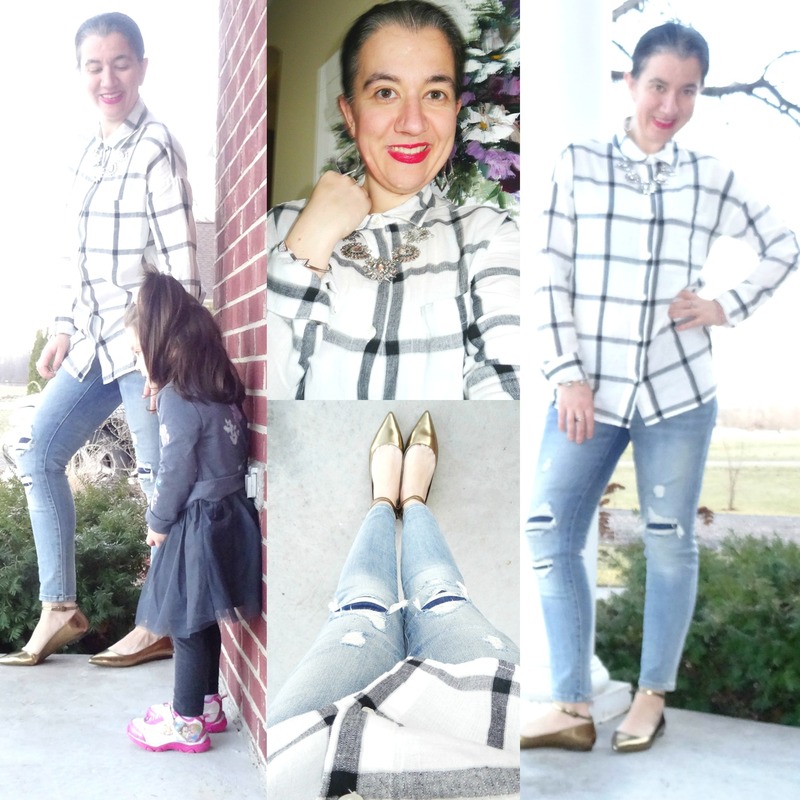 I ended up wearing these new skinny distressed jeans with my new windowpane boyfriend shirt by Old Navy and my bronze patent leather pointed flats. As far as the jewelry, I am wearing all three new pieces I got in my third Rocksbox. They are all in silver and matched together wonderfully. 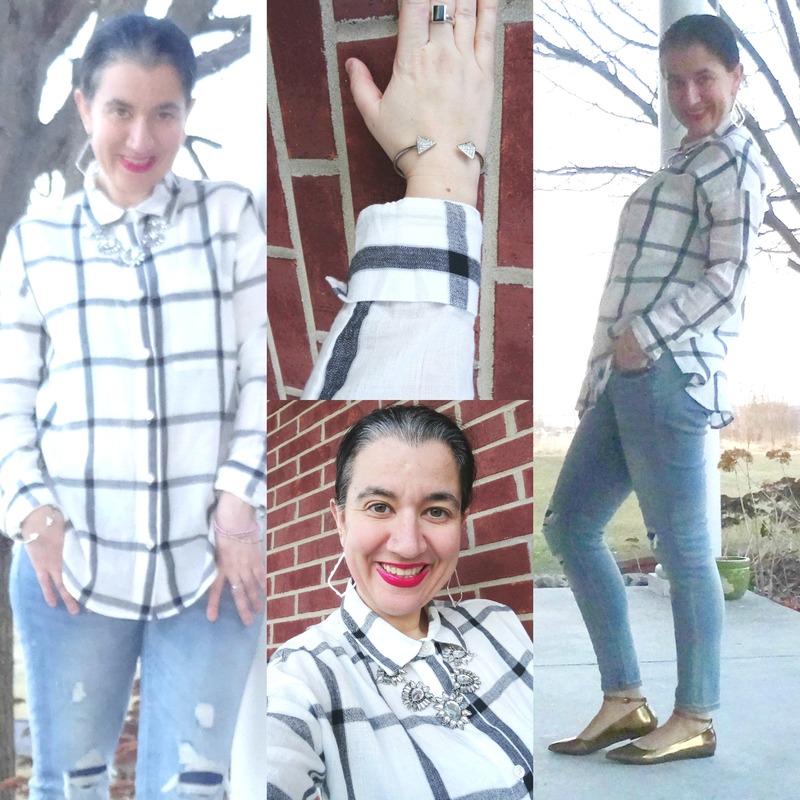 Plus all the different geometric shapes in my jewelry (including my ring) go so well with this grid square shirt. 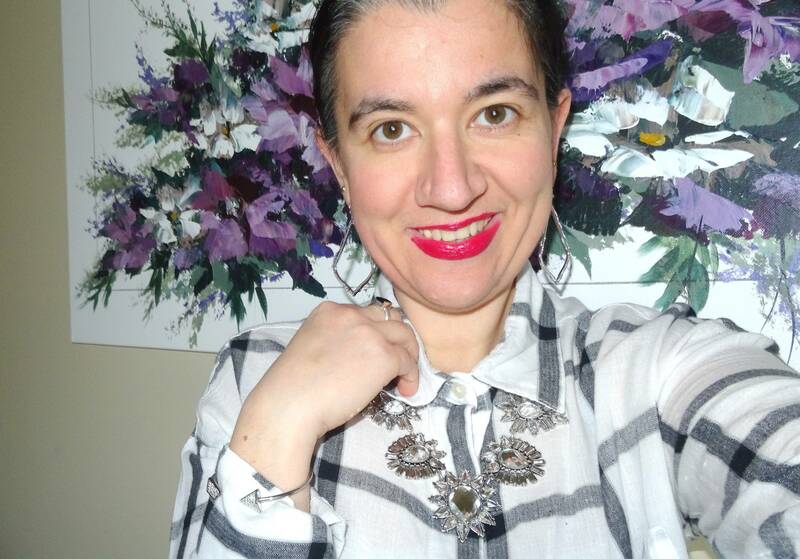 This time, from Rocksbox I received the Selina Crystal Necklace by Perry Street which I loved, the Sophee Drop Earrings in Silver (I also loved, but I have very similar ones already) and the Follow Your Arrow Cuff in Silver by Slate (I absolutely loved). If money was no object I would have kept both the necklace and the cuff but I will probably splurge on another Rayne Necklace instead. Truth be told, this is the set I kept the longest (I will mail it back tomorrow) and I would lie if I didn't tell you that the earrings and cuff bracelet almost never left my body, every time I got dressed. 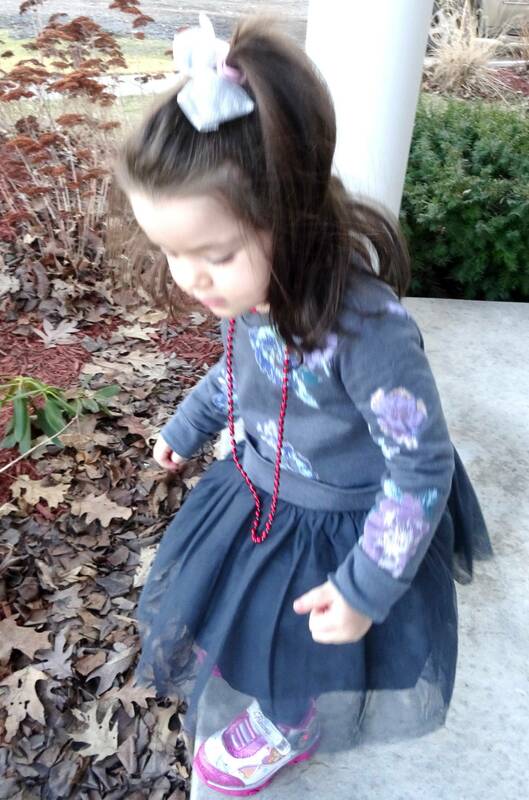 My daughter matched me in her neutral color theme with the dark grey mixed media dress. 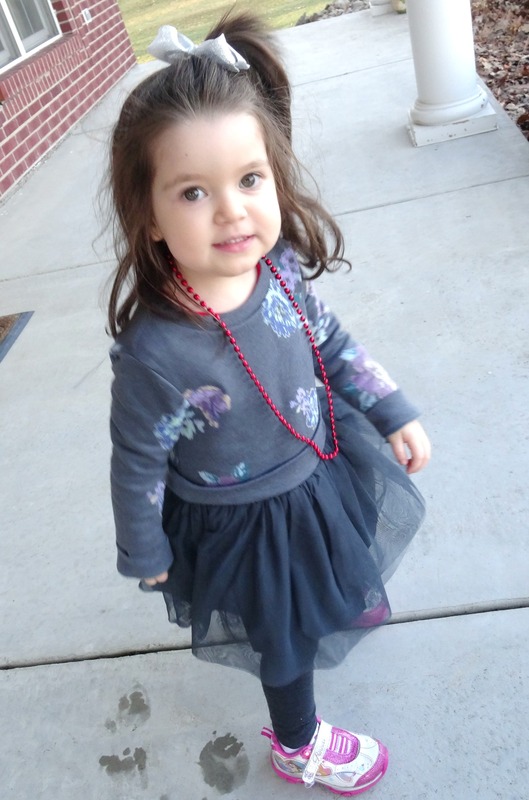 I love that dress, it is a sweatshirt on top and a tutu on the bottom. She was definitely adorable! What do you think of our outfits? Do you celebrate Women's Day? 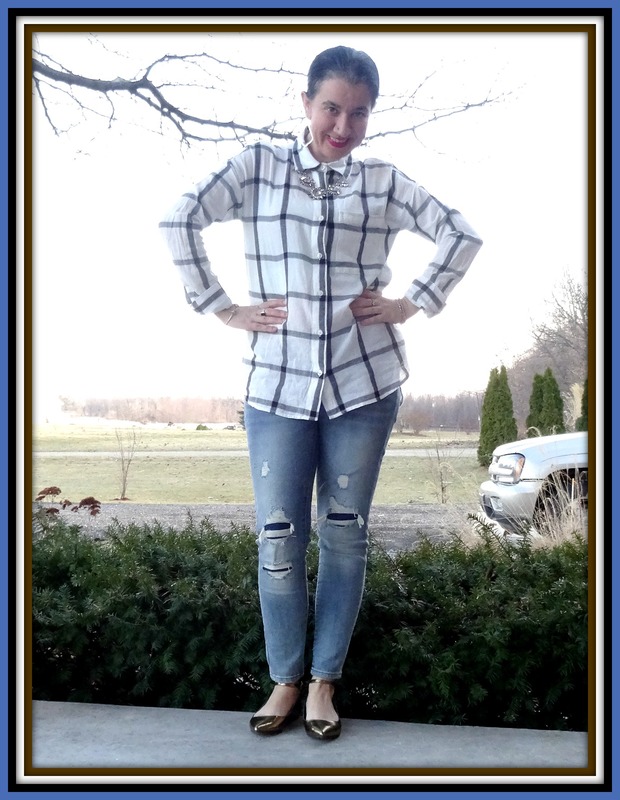 White w/ Black "Boyfriend" Button-Down Shirt: Old Navy (New) (identical), (similar, Great Deal), (similar, Steal). 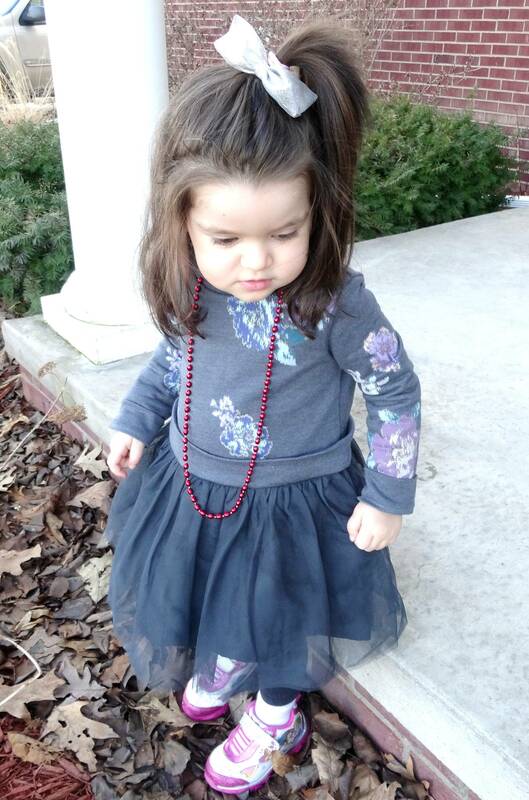 Dark Grey Floral, Long-Sleeve Sweatshirt Dress w/ Tutu Skirt: Old Navy (New). 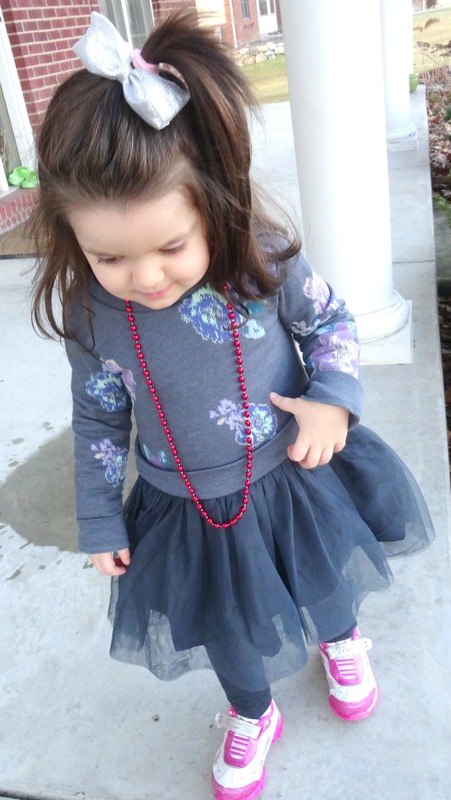 Charcoal Grey Leggings: Little Lass. Sparkly Silver Bow Barrette: Target (New).